ArtRage is a Macintosh painting and drawing application that allows you to apply paint or ink to virtual paper or canvas as naturally as you would to their real counterparts. Oil paints leave textural strokes, watercolors actually spread, marker ink bleeds into the paper, pallet knives smear, pastels are genuinely chalky. 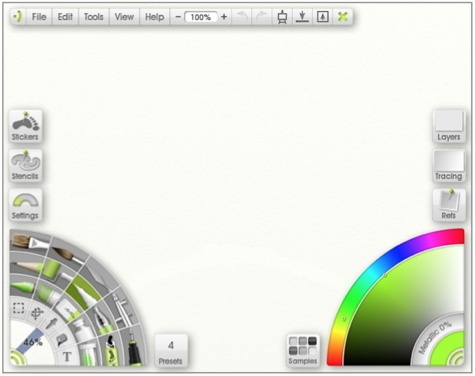 At first, the ArtRage interface looks and feels un-Maclike, but using it is quickly intuitive. It doesn’t take long to become familiar with its many features. Most tools and palettes are only a tap away and are visible while you work. As with most drawing apps, you really need a graphics tablet with a pressure sensitive stylus. Drawing with a mouse is like trying to draw with a bar of soap. ArtRage was introduced in 2004 and in the intervening years has gained a strong following. Much of that loyalty is due to technical leaps forward in software—layers and blend modes, transformations, the ability to create presets for favorite settings, stencils and rulers, tracing options, and many features common to other popular apps such as Photoshop. The new ArtRage 4 release contains some new and welcome features: A Workbench Toolbar that collapses the entire interface into a single toolbar, a Clone Tool, Scraps that float on the screen on which you can test colors and brushes before applying them to your project, Symmetry mirroring simplifies graphics work and logo design, Wacom stylus support, and more. Unlike Adobe Illustrator, ArtRage does not produce vector output but your artwork can be exported in various formats including JPG, TIFF, and PNG. You can also import PSD files while retaining layers and group structures. 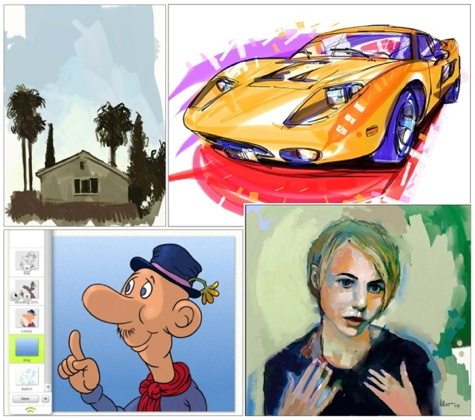 ArtRage is designed for artists and non-artists who like to draw and paint. If you are skilled in a particular discipline, you will find that ArtRage is easy and fun right from the outset. If you consider yourself a doodler, this app just might improve your drawing abilities and you’ll find yourself having hours of fun. At $49.90, it’s a bargain considering the flexibility of its tools and features. 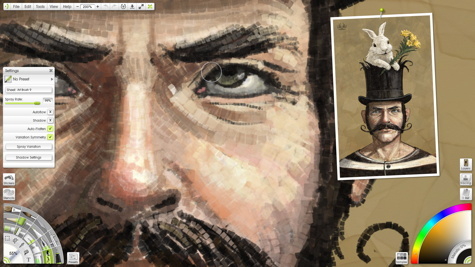 If you become hooked, there is an iPad version of ArtRage that is also excellent. Still not convinced, or apprehensive about your artistic talents? Download the free ArtRage demo and experience the fun.